Current OOG Campaigns - OOG- let's save the world! "Marine Sanctuary, not Obscene Cranktuary!" This project is a serious danger to whale migration/navigation (anchored into the seabed a mile below!) and serves only to keep the power plant 'on ice' for future start up of a large desalination unit or some other very destructive industrial use of the 'once through cooling' seawater intake. Scientists are also concerned with the effect all this vibration will have on marine life. Don’t allow this mass industrialization of our ocean. There's no need for them at all- home rooftop solar panels do the job without all the carnage. These are the same old energy companies and opportunistic profiteers with links to multi-national corporations trying desperately to stay in charge of our energy on/off switch. California Coastal Commission to Seaworld: Stop breeding orcas! Under international pressure to free their captive orcas and other marine mammals, Seaworld hatched a plan to go into the orca sales business. They went before the California Coastal Commission in Long Beach October 8th, 2015 to ask permission for a tank expansion. Nothing different for the orcas except a bigger tank, but the landscaping and rock formations would be nice to look at if you were a visitor. Seaworld would be able to hold 94 more orcas if the plan went through. 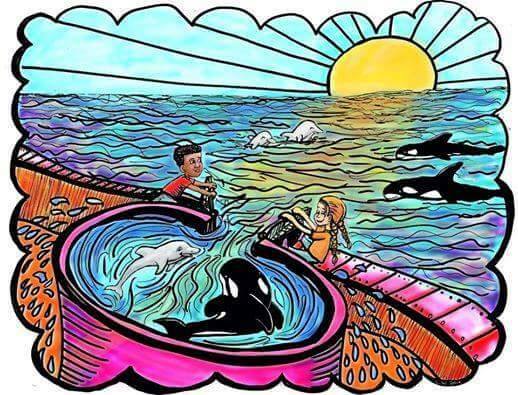 The commission approved the project, but only on the condition that Seaworld San Diego could no longer breed orcas, nor can they send or receive them. Because of the issue of genetic diversity (or lack thereof) this will eventually put them out of the orca business. Special thanks to PETA, former commissioner Sara Wan (who hatched the brilliant plan, which I disagreed with and refused to go along with, and boy was I wrong on this one), Ingrid Visser, John Hargrove, Steve-o, Sea Shepherd, and all the activist soldiers! Seaworld plans to appeal and we will be watching! Don't forget to follow us on Facebook for a daily dose of activist poetry and campaigns! The Ocean Outfall Group is proud to announce the addition of Marcia Hanscomb to our Board of Directors as of October 5th, 2013. 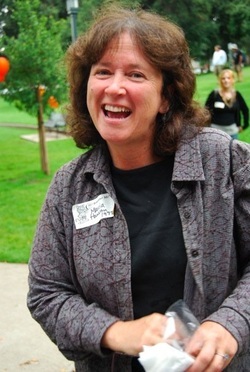 Marcia has long been the #1 Wetlands activist in California with a shining record that includes the historic victory at Little Shell Wetland in Huntington Beach California, and many other stellar efforts. Marcia is a former member of the National Board of the Sierra Club, having served there for a number of years alongside Captain Paul Watson of Sea Shepherd Conservation Society. They are together again with us, much to our good fortune. Thank you Marcia! The Resources Agency decided to hold a meeting of the minds from many disciplines to figure out just how we could actually make the Marine Protected Areas recently created off the coast of California work. I for one was baffled because I had them working the instant they took effect, back in 2007. A local prison spilled sewage in a creek, the creek led to the bay, the bay was an MPA (Marine Protected Area) and I harangued Arnold Swarzenegger’s office until they helped me, and we prosecuted the prison, setting an enormous precedent or two. But I guess that just wasn’t good enough, so here we were again, seven years later, pretending we didn’t know what to do. The meeting, run by a lovely and friendly woman named Calla Allison, started promptly at 3:00PM, Monday, November 18th, in the auditorium of the Morro Bay Museum of Natural History, 20 State Park Road, Morro Bay, California. Many times in the past, I had bad blood there, once holding a sign outside saying NATURAL HISTORY MUSEUM- EVERYTHING NATURAL WILL BE HISTORY. But those days were gone, and the place had taken a decidedly excellent green bent! We introduced ourselves, and spouted ideas as Calla wrote them down feverishly. I suggested all law enforcement agencies be sent to MPA training, so they could keep a Peregrine’s eye on poaching polluting or extracting. When asked what agencies we may have forgotten to include, I said the Chumash Indians. Eric Endersby of Morro Bay Harbor Patrol informed me the Chumash have no land and so were not ‘federally recognized’. I took a moment to educate him about how differently indigenous peoples look at the world. The land they have is underwater, out past the surf zone, where ancestors were buried thousands of years ago, before the glaciers melted and oceans rose. We were broken up into groups, and I laughed to see cops in one corner trying to figure out how to milk money out of it all, and scientists and academics in other corners trying to do the same. I asked who had worked on the otter implants that had killed many of them, and found out that Biologist Don Canestro was housing them at Ken Norris Reserve. “You’re sheltering criminals?” I asked. “I’m housing them and they are only monitoring the otters. That’s Dr. Tinker whose doing the electronic implants on them” he answered. He winced as I took his picture. I announced to the room that the otters were illegally being carved up and with stolen money. Former State Senator Sam Blakeslee lied to the people in the CPUC (California Public Utilities Commission) office, telling them his bill ‘mandated’ seismic testing (not true, Arnold vetoed it) and the seismic tests would go forward (they didn’t, we beat them with the Coastal Commission). So now, there are otters out there who need our help and we need to go after that 64 million dollars! Finally, I asked how the Chair of the MLPA Blue Ribbon Panel, also President of Western States Petroleum- could not have known that offshore fracking was already going on at the time!! All in all, it was a well run meeting by Calla Allison, and the Resources Agency, with great activists, eco groups standing up for Marine Protected Areas and those long-suffering Southern Sea Otters. Last night, in the very path of creeping Fukushima radiation, a meeting was held in San Luis Obispo by the Nuclear Regulatory Commission. They had come to the begrudging home of the Diablo Canyon Nuclear Power Plant to ask citizens for their input on storage of spent fuel, better known as nuclear waste. Or, as their spin doctors presented it, ‘waste confidence’. “Define confidence!” a man shouted from somewhere back among the many hundreds in attendance. The Nuclear Regulatory Commission’s own mission statement admits their job is to create rules allowing for the continued burning of the nuclear fires. But they were up against it last night, at a gigantic meeting attended by an American cross-section of colorful characters, sick to death of the lies, death and danger that are the legacy of a failed experiment called nuclear power. It was my great double-honor to speak beside the famed Mothers for Peace as well as the Chumash peoples who have inhabited –and lay rightful claim to- the Diablo Canyon area for thousands of years. At one point, I asked Jane Swanson why men can’t join Mothers for Peace, and she corrected me, saying there were ‘plenty of men mothers’. “How do I join?” I asked, at which point she grasped my wrist and said, “I know about your great love for the Earth, and you are now a mother.” I was humbled. As I write these words, the once mighty Diablo Canyon Plant is no longer so imposing viewed in the wafting radioactive shadow of the Fukushima conflagration. “It’s time has come” I said more than once. “Diablo is done.” And people listened with hopeful, hungry eyes. 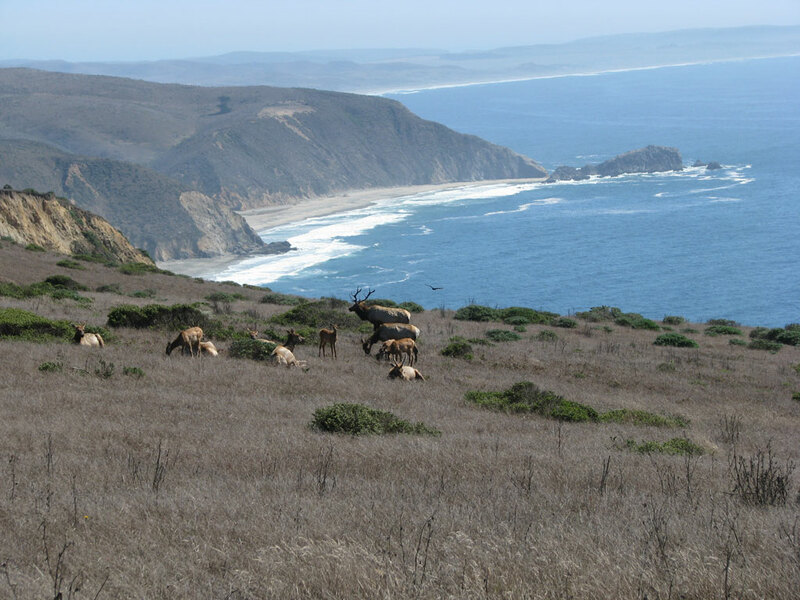 National Park Service: say no to ranchers at Point Reyes National Seashore! Please remove the oyster farm and all cattle grazing ASAP. The Tule Elk are of paramount importance. The #1 cause for loss of biodiversity in North America is cattle grazing on public lands. It needs to end now.